We talk the talk, so we thought we’d walk the walk – up the highest mountain in Wales in fact. We’re very close to reaching a whopping £10 million raised for good causes, so, in preparation for celebrating this brilliant milestone, we’ve decided to step into the shoes of our fabulous fundraisers and raise money by taking on a challenge. 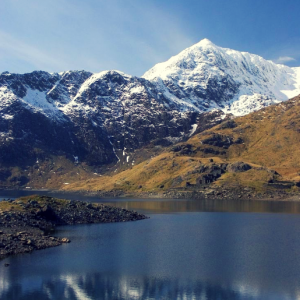 Our sights are set on Mount Snowdon and our target is to collect £100 by shopping online through easyfundraising for our good friend, and fellow easyfundraising colleague, Izzie Harrison. Izzi’s not been able to make it into the office for a while, so we’re going to donate all the money raised to the Harrison family to treat her to a special outing – be it a meal, day out or even a short trip away. So, to ‘summit’ up, on the 25th September 2015, nearly 50 easyfundraising employees will be climbing (or crawling) up a 3560 ft. mountain. We’ll give you an update when we finally make it back down.